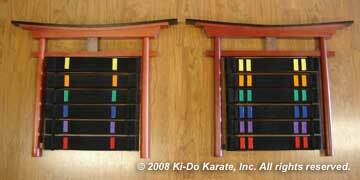 Ki-Do Karate’s rank system helps students set short and long term goals. 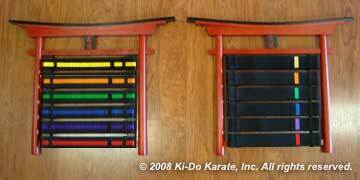 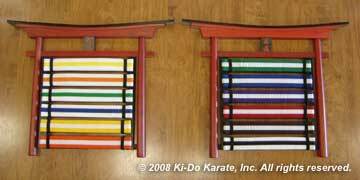 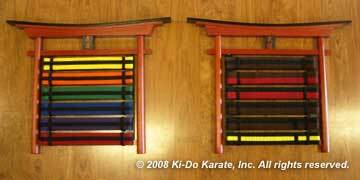 Ki-Do Karate has 24 belt ranks (kyus) under Black Belt and 37 over Black Belt. 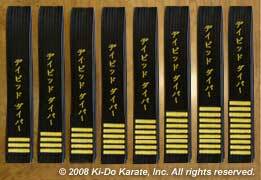 The 37 over Black Belt include the 10 degrees of Black Belt (dan) and the sub ranks of those degrees. 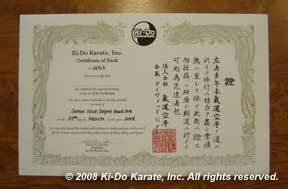 Official Ki-Do Karate Rank Certificate awarded for various Black Belt ranks. 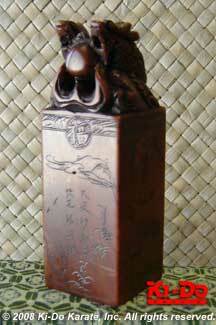 These bilingual certiciates are translated into English and Kanji. 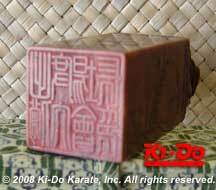 Official Ki-Do Karate Tenkoku Stone Seal used to authenticate rank certiciates.